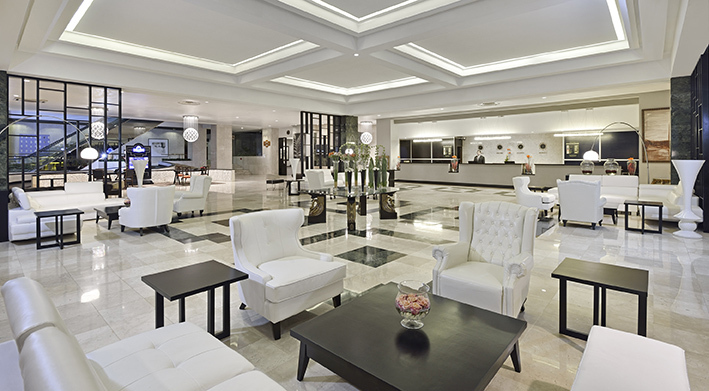 The Meliá Cohiba is a 5-star hotel located in the central district of Vedado. 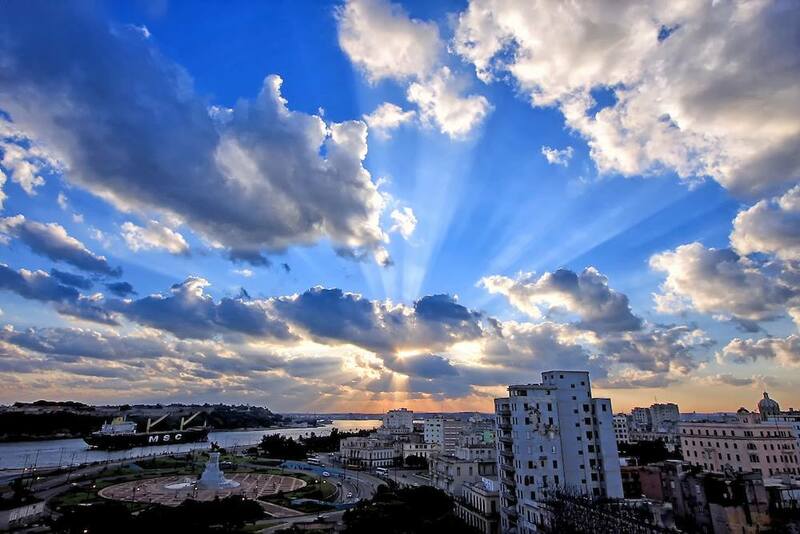 It is an important urban center and meeting point for business and gatherings in the city of Habana. Its prestigious location along the coastline places the hotel within close proximity to its famous promenade, the Malecón in Havana. The Hotel is in a 22-story, post-modernist building, that stands at over 150 feet high. It is in the corner of the beautiful Paseo Avenue and 1st street. The Hotel is in the district of Vedado, a residential neighborhood, where it coexists with 20th century mansions and tall buildings from the glamorous 50s. 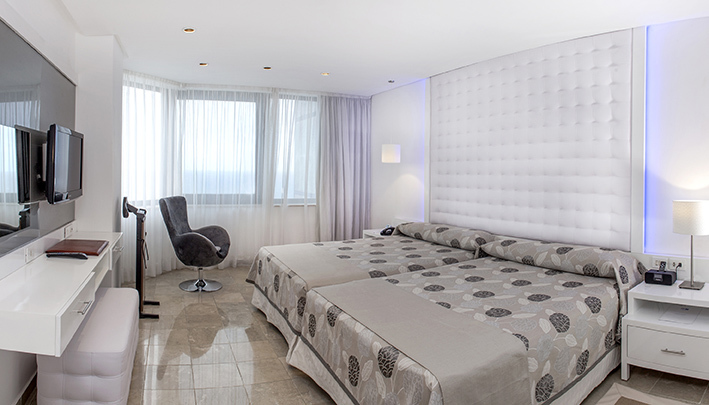 Its 462 elegant rooms offer spectacular city and water views. 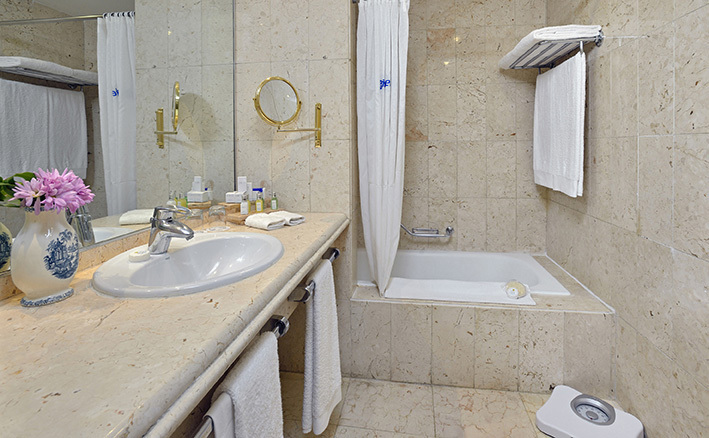 The rooms have fully equipped, comfortable bathrooms. The décor includes grandiose mirrors, brass lamps, fine furniture, and tapestry fabrics. Without a doubt, the Meliá Cohiba Hotel offers the most comfortable and complete setting that would be expected from a modern 5-star hotel. 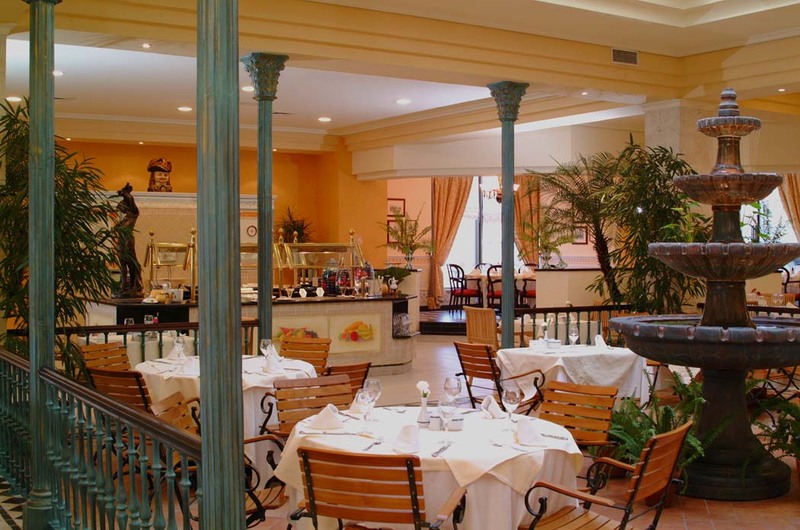 Its excellent service and exceptional location make it a top starting point to explore Havana. 50% OFF on Kids 2-12 years old sharing a room with 2 adults.